As China develops knowledge-based industries and modernises and diversifies its economy, intellectual property has become much more important. In August, as Intellectual Property Minister, I visited China (Hong Kong, Shenzhen and Beijing) to discuss intellectual property issues with ministers, Chinese companies and British brands operating in the region. I was accompanied by HH Judge Hacon, the head of the Intellectual Property Enterprise Court (IPEC), and a delegation of IP professionals. The UK government believes that strong intellectual property rights are crucial to support innovation, creativity and business and thus help deliver growth and a strong economy. This view is increasingly shared in China. Our first IP agreement with the Chinese goes back 20 years and closer collaboration was agreed during last year’s State Visit by the Chinese President. This time, government and business stakeholders were keen to learn from the UK’s experiences in IP legislation, education and enforcement, and to continue working together to support IP rights in both countries. Our successes on the trip included raising a bad faith trademark problem for Whittards so that they can expand exports of tea to China and helping Cambridge University Press win a contract for English language teaching books. 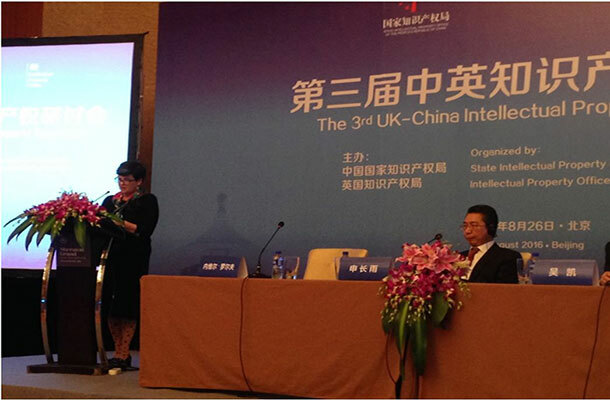 Yet, the undoubted centrepiece was the productive Third UK-China IP Symposium, held in Beijing and jointly hosted by the Intellectual Property Office and its Chinese equivalent, SIPO (see also Baroness Neville-Rolfe speech at the 2016 UK China IP Symposium). We were very warmly welcomed by SIPO’s Commissioner Shen. HH Judge Hacon had fruitful meetings about the operations of the Chinese IP legal system in three cities. 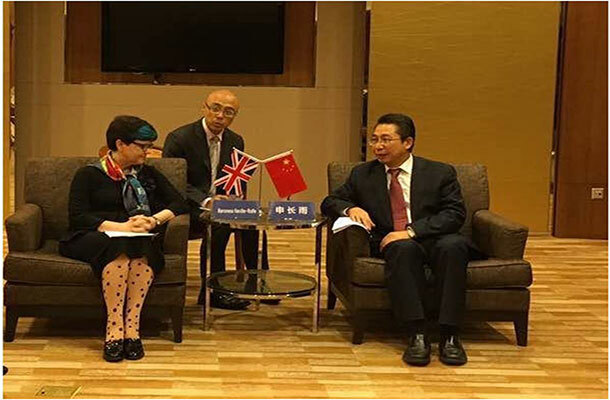 The IPEC has been a huge success in the UK providing affordable and efficient access to justice in smaller IP disputes, and we hope that coming together and sharing good practice and legal procedure with members of the Chinese judiciary will further strengthen IP in the region. 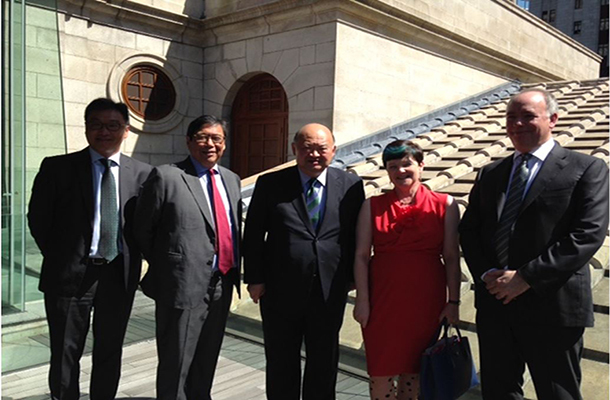 I particularly enjoyed meeting the Chief Justice of the High Court of the Hong Kong Special Administrative Region. In Shenzhen, I visited two companies – Huawei and Tencent – who are now household names in China and growing internationally. Where there are clearly recognizable brands, proper protections for trademarks become crucial. Understandably these brands are very concerned with both increasing IP protection for goods sold on their platforms as well as protecting their own IP. Tencent owns the WeChat platform, an instant messaging service, which incredibly has over 800 million users – no wonder their global reputation is growing. At their ultra-modern offices, I was delighted to witness the signing of an MOU between the company, the China-Britain Business Council and the Institute of Trade Mark Attorneys that will help provide better protections for rights holders when goods are sold via their platform (see also http://www.cbbc.org/news/china-britain-business-council,-international-publ/ ). 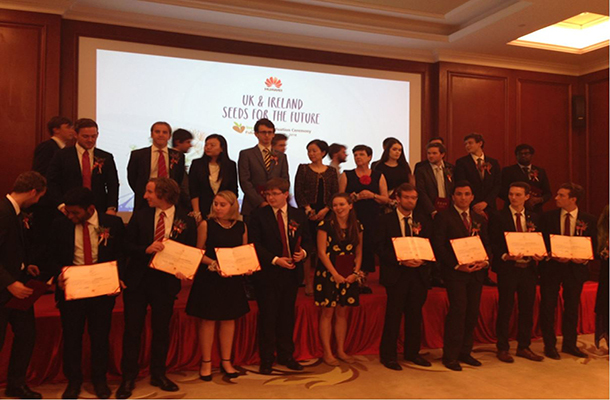 At Huawei’s office, as well as a fascinating tour of their technology centre, I attended the graduation ceremony for “Seeds of the Future” – an exciting internship for promising UK and Ireland STEM students to work for Huawei in China – which provides a fantastic opportunity for students to get real-world experience. I was also pleased to hear the progress that has been made in the two years since my last visit when Britain signed an MoU with the Alibaba about combating the sale of counterfeit goods on their sites. British businesses with a presence in China were very positive about the direction of travel, as were the company. Finally, at the Beijing Bookfair, I witnessed the launch of Penguin and Chongqing University Press’ joint edition of a Midsummer Night’s Dream and a classic Chinese play, also 400 years old, called the Peony Pavilion. 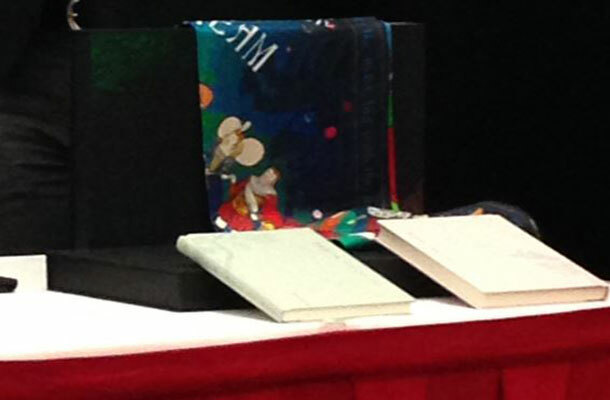 The beautiful hardbacks are accompanied by a silk scarf featuring scenes from both works. It was a great symbol of British and Chinese culture and collaboration. This was undoubtedly a positive visit which advanced collaboration between the UK and China on several aspects of IP enforcement. There has been significant progress made over the years and we still have plenty of work to do in this crucial area of law and enforcement. My trip highlighted there are many areas for further successful collaborations in the future.